The Talentum programme promotes entrepreneurship among young university students in the Basque Country. The Talentum programme will promote eight entrepreneurial projects in the Basque Country, after a selection processes among more than 50 Basque students. The Talentum entrepreneurship support programme will promote eight projects in the Basque Country, after a selection process among more than 50 Basque students. Bizkaia:talent, the University of Mondragon and Telefonica presented on Friday in Bilbao the eight projects which have been selected in the Basque Country as part of the high qualification scholarship programme Talentum Startups. This programme aims at promoting entrepreneurship among young university students who have earned technology degrees. According to what they have explained, the eight projects have been selected through a rigorous selection process among more than 50 Basque students. Each of the selected projects will receive a scholarship involving an investment of around 6,500 Euros, out of which about 50% will be for the holder of the scholarship and the rest for funding equipment, tutors and mentors. The selected projects will now have a technology mentor that will facilitate the development of each of the projects. Moreover, the selected projects will have a comprehensive support programme in various business areas. According to what they have explained, it has to do with creating an ecosystem to foster the talent of young people who are willing to start up within the scope of the university. Amongst the eight projects selected in the Basque Country, special mention should be made of the development of digital applications for various areas. Amongst the applications there is one called “Armario Inteligente” (Smart Wardrobe) aimed at helping the user decide what to wear according to the weather, his/her schedule and his/her preferences. Another application, Safety Spy, intends to modernize and promote the use of safety elements in hazardous jobs. “Meet2RUN”, selected in the Basque Country too, helps joggers meet. Another of the selected programmes is an application for the car which creates maps of the journeys made. The other four projects have to do with technology platforms or webs: creating a mobile platform for restaurants and bars offering menus and daily offers, a project to promote the power efficiency of 4G mobile technology, the project “Dreamer” connected with the list of things to do before dying and finally the digital community project “Academis Hacker”. 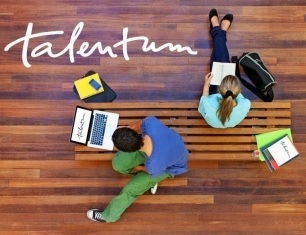 According to what the organizers have pointed out, Talentum Startups has played an important role in the promotion of entrepreneurship since its creation in 2012, with the participation of more than 500,000 young people from five countries. Bizkaia:talent, the body of the Provincial Council of Bizkaia in charge of promoting the professional development of highly qualified people, especially in science and technology, will provide their experience in this area and will collaborate in the funding of the programme. Mondragon University, on the other hand, will lend its facilities in Bilbao to present and develop the programme. Telefonica will also cover part of the necessary resources and will provide the structure of the programme within the framework of the wide range of entrepreneurial activities carried out by the company.